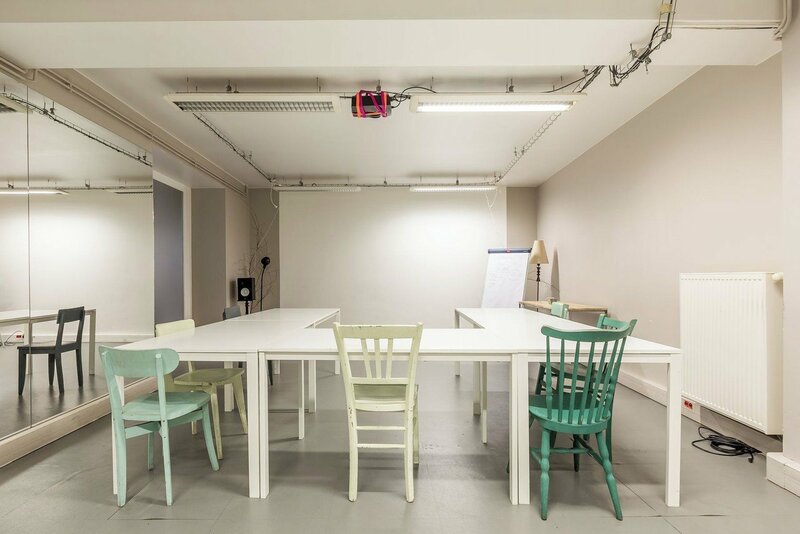 This space is located in the basement of a coworking space close to Guy Môquet and Porte Saint Ouen metro station. 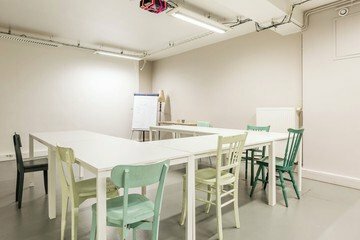 This cozy meeting room is perfect to welcome meeting, workshop or presentation and also sometimes used for yoga classes or theater rehearsals. 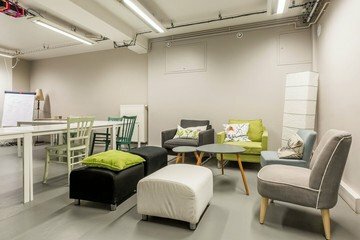 A kitchen area is available and allows you to share informal moments with coffee and others beverage available during all the duration of your event. 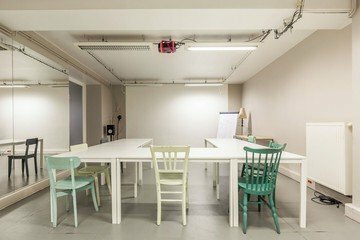 Projector, flipchart, whiteboard, microphone and sound system are also included in the rental price.